We introduce the A*STAR Data Analytics and Exchange Platform (“A*DAX”), which is the backbone data platform for different programs and projects under the Urban Systems Initiative launched by the Agency for Science, Technology and Research in Singapore. The A*DAX aims to provide a centralized system for public and private sectors to manage and share data; meanwhile, it also provides basic data analytics and visualization functions for authorized parties to consume data. A*DAX is also a channel for developers to develop innovative applications based on real data to improve urban services. 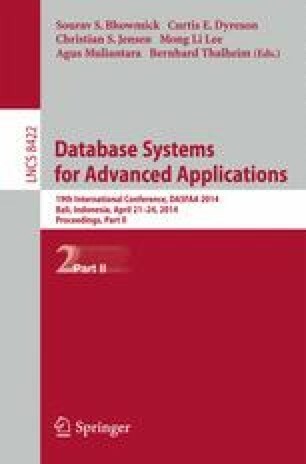 In this paper, we focus on presenting the platform components that address challenges in data integration and processing. In particular, the A*DAX platform needs to dynamically fuse heterogeneous data from unpredictable sources, which makes traditional data integration mechanisms hard to be applied. Also, the platform needs to process data with different dynamics (i.e., database vs. data stream) in large scale. In our design, we use a semantic approach to handle data fusion and integration problems, and propose a hybrid architecture to process static and dynamic data to answer queries at the same time. Other issues about the A*DAX platform, e.g., security and privacy, are not covered in this paper.